Many adults can look back on childhood with fond memories of having a wild imagination. Often, our childhood daydreams included ideas of having superpowers like Wonder Woman or Captain America. Children today are no different in imagining their own unique superpower. In fact, we believe that children’s ability to smile so freely is a bit magical. A child is likely to smile about ten times more than the average adult does on any given day. That’s something to cheer. It’s also something to protect. In our Windsor, Oak Grove, and Warrensburg offices, we might do this with dental sealants. A dental sealant is a protective covering that is applied to a surface. An excellent example of a conventional sealant might be car wax, which many of us apply after washing our car to prevent water spots in the event of unexpected rain. Car wax is protective of the appearance of the vehicle, and it can also prevent premature wear to paint caused by the elements. Dental sealant treatment is similar. This technique places a substantial barrier between vulnerable tooth enamel and debris and bacteria that cause cavities. Dental sealants are applied to the chewing surface of back teeth, where deep grooves are the norm. As studies have been performed on the efficacy of sealants, it has been discovered that this simple treatment can decrease the risk of tooth decay by 80 percent. Most parents would do just about anything to help their child avoid pain. Even seeing a child have to get a filling can be heart-wrenching for a parent. For a child to get dental sealants is much less traumatic. In fact, there is no need for anesthetic or special measures – except for nurturing technique – to help a child feel comfortable during this preventive treatment. 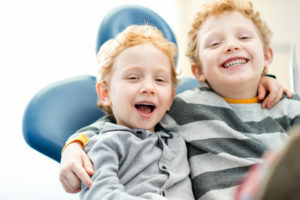 Ridgeview Family Dental offers friendly care for patients of all ages. Schedule your visit at 660-747-9117.